Swansea and London Borough of Hillingdon will see the arrival of new cycle hire schemes this spring, after Swansea University and Brunel University London won the Santander Cycles University Challenge. The schemes, which will be open to students, residents and visitors alike, have been awarded to the two universities after they came top in a nationwide competition. After reaching the final shortlist of five from the initial 23 entrants, the universities ran month-long crowdfunding-led campaigns to see which institution could raise the most money to cover the on-going running costs of their proposed scheme. Swansea University and Brunel University London won the competition, respectively raising 188 per cent and 175 per cent of their fundraising target. 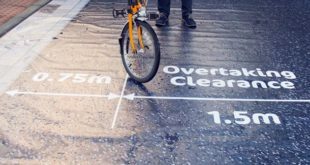 They will now receive the capital costs for their schemes from Santander, which will cover the initial £100,000 investment in a number of docking stations, 50 bikes and the technology required to operate the scheme. Director of Santander Universities UK Matt Hutnell said: “We congratulate Swansea University and Brunel University London for winning against such tough competition. The standard of entries was incredibly high and the level of commitment from all the finalists throughout the challenge, and in particular during the crowdfunding phase, was exceptional. Initially, Swansea’s Santander Cycles scheme will include 50 bikes with five docking stations located along the city’s main cycle path. Docking stations will be located at Singleton Park Campus, the Civic Centre, the National Waterfront Museum, Fabian Way Park and Ride and the Bay Campus. 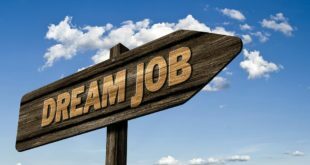 The university has over 18,000 students who will benefit from the scheme, but the initiative has also proven extremely popular amongst city businesses and residents, with large numbers pledging their support during the crowdfunding campaign. The competition received entries from across the country, with universities looking to develop sustainable transport schemes around their campuses. 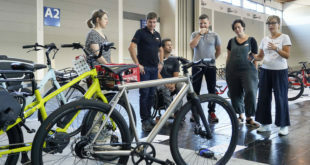 In the initial phase of the competition, the university teams benefited from expert consultancy allowing them to design bike schemes to meet their specific needs. 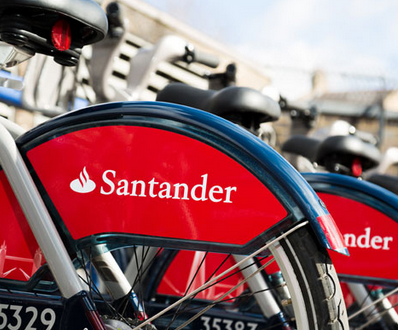 They received support from Santander and its cycle partner; Nextbike, which runs more than 130 schemes worldwide.